In today's dispatch, Future delivers track-by-track commentary for four more DS2 tracks: "Rotation," "Slave Master," "Blow A Bag," and "Colossal." His tone in this segment is decidedly more serious than it was in the last video, as he opens up about the hard truths of his conspicuous consumption, which thread through much of the album. "My trust of words and my word play is one thing," he says, discussing "Slave Master," which ends with a salute to the late A$AP Yams. "But the things I'm talking about is basically me just getting over certain situations, me using drugs as an alternate route to be able to overcome certain things in your life that you feel like you don't want to get to you. It's like me copping out, taking the easy route, you could say. By substituting my problems or my pain with codeine or whatever." 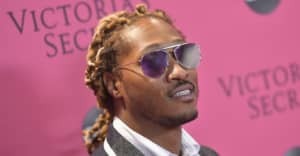 Also of interest: Future says that "Colossal" was originally recorded with a different beat, but that Esco and Metro Boomin reworked it to be what it is today. Everybody gets help, you know? Revisit Part 1 and Part 2 of the series, and keep an on this space for more behind the scenes commentary in the coming days.